Most of the Europeans and Americans think that Istanbul is an Arabic city in desert. Simply, it’s not. It’s cold, humid, rainy, and even snowy in winter. Rain is also common in late spring and June. 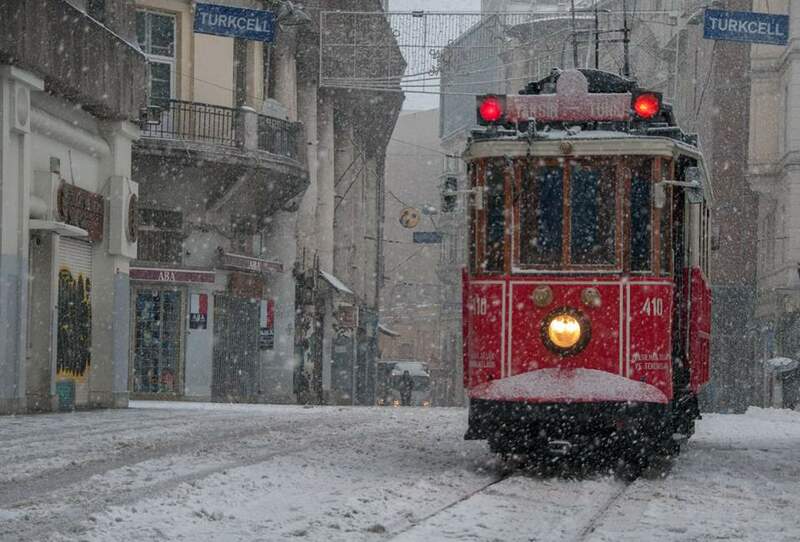 Snowfall in Istanbul occurs almost annually. It is common between December and March (exceptions occur, I remember a snowfall in April 17, 1997; and another one in November 2, 2006). Annual total snow cover is almost three weeks, and snow cover usually remains only for a few days after each snowfall, even under intense snow conditions. Istanbul also has a high annual average rainfall of 844 mm (which is more than that of London – 601 mm or Dublin – 714 mm, whose negative reputation Istanbul does not suffer). For visitors an umbrella is recommended during spring, autumn and winter, and during the summer to avoid the sun and occasionally the rain. However, it’s not such a big problem, since streets of Istanbul are suddenly filled by umbrella sellers as soon as it starts raining. I always wondered how they appear that sudden. It’s like a miracle, as soon as the first few drops fell, they are coming out from nowhere. Although the umbrellas they provide are a little shoddy, going rate is only TL5 –about $2.5- per umbrella (though you can find much better umbrellas for that price at shops if you look around a bit). Due to the city’s hilly topography and inadequate sewage systems, flash floods are a common occurrence after heavy rainfalls (especially during summer).